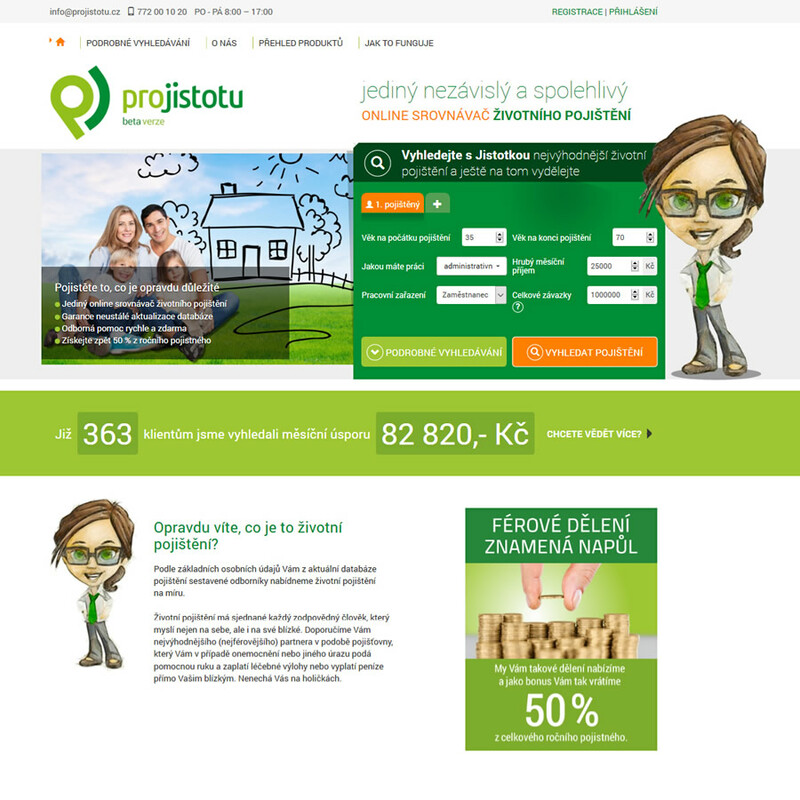 ProJistotu.cz is the only independent online life insurance benchmark in the Czech Republic, which compares life insurance policies and recommends the most advantageous one to the client in real time on the basis of several input data. This is a unique financial project where the client can choose and buy an optimal life insurance policy him/herself through a well-arranged and detailed comparison without having to communicate with or visit an insurance consultant. We have developed this web application for Finovatis, which works with and evaluates large data sets. Unlike other types of insurance, life insurance products are not unified, and they contain a large number of inconsistent parameters leading to thousands of variables. Our goal is to synchronize these parameters and create a functional and well-arranged system for selection, purchasing and consultation in an online environment. The new benchmark is thus in line with worldwide trends in service digitization and automation, and it is proof that even a complex purchasing process can be effectively simplified and made more user-friendly without losing functionality.